for an amazingly low price of £250.00 ! Make your pearlies your attraction. 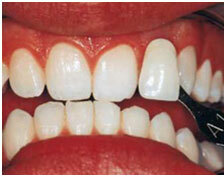 We do teeth whitening on demand and not as a special treatment. Some patients love it and the results are good, some patients feel it could be better but they understand the pro's and con's and the impact of "lifestyle" choices. We don't want patients with high expectations and no choices. 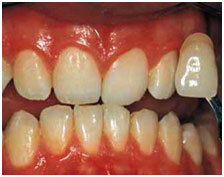 We want to improve patient's smile with the most recent developements available but with the understanding that miracles sometimes "happen".